Applications: General mid and heavy duty materials, shoes, caps, leather bags and garments. Features: Double needle Zigzag Sewing Machine, and use movable needle clamp, can freely adjust the space of double needles. Use cam feed structure, feeding more forcefully to ensure neat stitches. Looking for ideal Large Hook Single Needle Zigzag Sewing Machine Manufacturer & supplier ? We have a wide selection at great prices to help you get creative. 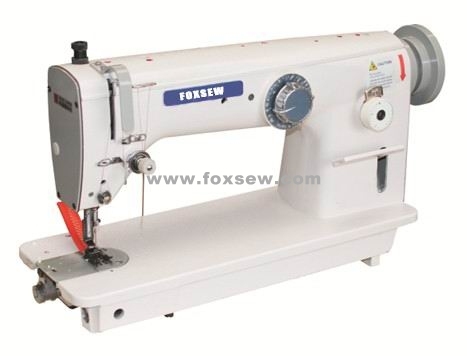 All the Large Hook Double Needle Zigzag Sewing Machine are quality guaranteed. We are China Origin Factory of Zigzag Sewing Machine with Large Hook. If you have any question, please feel free to contact us.